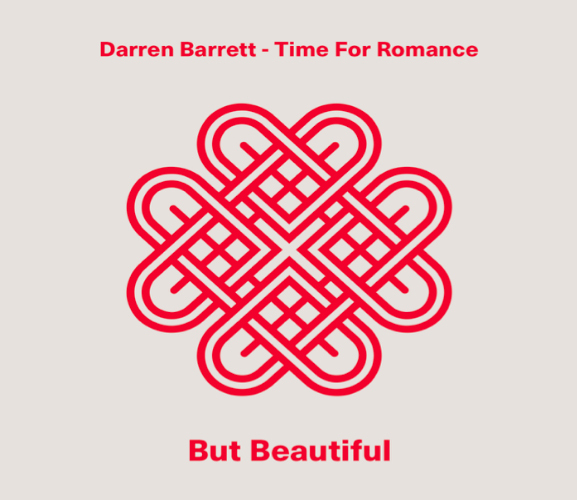 Grammy-award winning trumpeter, composer and bandleader Darren Barrett is proud to announce the September 26 release of his long-awaited ballads project Time For Romance: But Beautiful. A follow up to last years’ experimental The Opener (“Jazz’s future may very well sound like this,” said Downbeat Magazine’s Brian Zimmerman), Time For Romance: But Beautiful showcases another side of the distinguished trumpeter as he explores eight classic ballads infused with soundscapes, synthesis and samples. My overall focus was to make a modern ballads recording of sounds of the past, present and future,” said Barrett on his approach to his new project. Barrett’s Time for Romance band is comprised of Takeru Saito on piano, Youngchae Jeong on Bass and Daniel Moreno on Drums. The album also includes keyboardist and synthesis wizard Santiago Bosch and percussionist Judy Barrett. Joining the group on one track is special guest guitarist Kurt Rosenwinkel. On Time for Romance: But Beautiful, Barrett made the melodies his lead priority. “I wanted to present the melodies with true sincerity and beauty,” he said. To aid him, Barrett studied the lyrical content of songs closely in an attempt to “get inside the head” of the writers. For further inspiration, he listened to the great singers, such as Nat King Cole, Ella Fitzgerald, Frank Sinatra and Billie Holiday. Barrett’s clear tone and melodic playing is complemented by his creative use of electronics and samples. Perfecting sound design was an important part of Barrett’s process. As evidenced on tracks like “Ugly Beauty” and “Everytime We Say Goodbye”, Barrett utilized organic sounds (taken from the city and from nature) in his production. In addition, the trumpeter took cues from Drake’s producer 40 Shebib in creating the ambience. “Everything Happens to Me” perhaps personifies Barrett’s intention best; the first part of the track is remixed, almost like a drum track reminiscent of trap music and dubstep synthesis, before transitioning to the traditional jazz band. Post-production, Barrett experimented heavily with the mix “by placing the trumpet upfront in the mix as if it’s jumping out of the speaker. In all my recording projects with my various bands, the mix is as important as the musical performance,” he said. With the release of Time For Romance: But Beautiful, Barrett continues to break out of confining, genre-binding norms to create a multifaceted masterwork that redefines what it means to record “a ballads record”. Trumpeter, pianist, singer and drummer Darren Barrett has had an extraordinary career. He has performed and recorded with Elvin Jones, Jackie McLean, Herbie Hancock, Roy Hargrove Big Band, Common, Will.i.am, D’Angelo, Myron Walden Momentum, and Antonio Hart. He performed on Esperanza Spalding’s Grammy Award-winning album Radio Music Society in 2012. He came in first place in the Thelonious Monk International Jazz Competition for trumpet in 1997. His recordings include First One Up (1999); Deelings (2001); Wrenaissance, Vol. 1 (2004); A Very Barrett Christmas (2011); The Music of the Bee Gees (2014), with Energy in Motion; Live and Direct (2014), with dB Quintet. Trumpet Vibes (2015) with Trumpet Vibes, The Music of Amy Winehouse (2016) with Trumpet Vibes and dB-ish The Opener (2017) with dB-ish He now leads several ensembles and musical configurations including dB Quintet, Energy In Motion, dB-ish, dB Treyo, Trumpet Vibes and Time For Romance. He is a Professor in the Ensemble Department at his alma mater, Berklee College of Music in Boston.